Why learn to Snowboard in Courchevel? Well it was another perfect day on the slopes in Courchevel and Meribel today. We had a really good morning on the second day of the Beginners snowboard group lesson. Everyone was turning comfortably on the Jardin Alpin beginner slopes, the gentle terrain and easy, magic carpet lifts make it ideal for learners to make their first steps and progress quick. Take a look at the photo. Courchevel has one of, if not THE best beginners area in France. Easy access and a mellow gradient for making turning easy. The group all left the beginners area and onto the Bellecote piste after only 3hrs of learning. 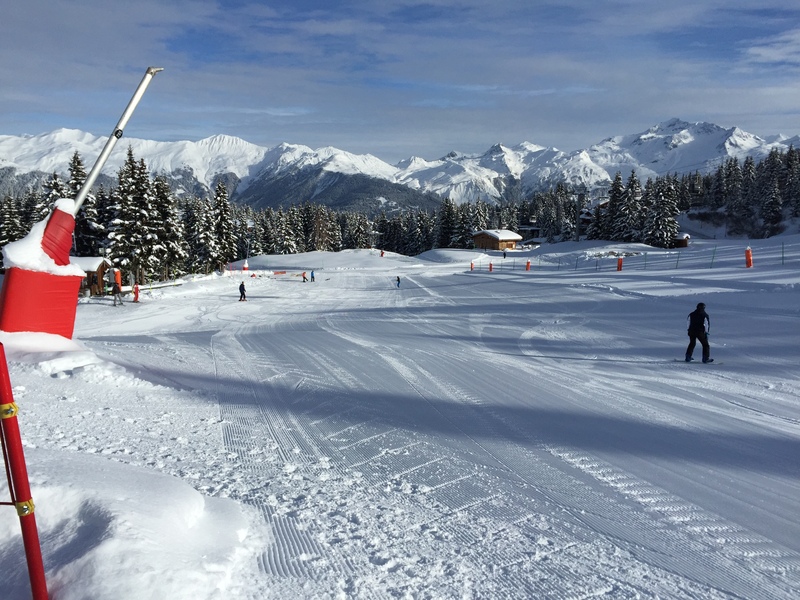 It really is the best place to have beginner snowboard lessons in Courchevel. Be sure to check out the rest of our site and please get in touch if you want anymore information about snowboard lessons in Courchevel, Meribel and La Tania. Hope to ride with you soon.